“Aquaman” star Jason Momoa says fellow “Justice League” member Henry Cavill is “absolutely not” done playing Superman. The actor spoke to ET Live at the Los Angeles premiere of James Wan’s “Aquaman” on Wednesday night. In September, TheWrap reported that Cavill would not be reprising his role as Superman in any upcoming DC films as Warner Bros. is shifting its focus to a standalone “Supergirl” movie. An insider told TheWrap that the studio wasn’t rushing to make another installment in the “Man of Steel” franchise. In 2019, Warner Bros. has “Shazam!” and “Wonder Woman 2” being released, while 2020 will see “Birds of Prey” and “The Flash” — so the studio has a full slate for now with no room for another “Superman” film. Moreover, the studio is setting its sights on a “Supergirl” movie, for which no one has been cast yet, although Oren Uziel is writing the script for it. Realistically, another “Superman” installment could only come into fruition in 2021. 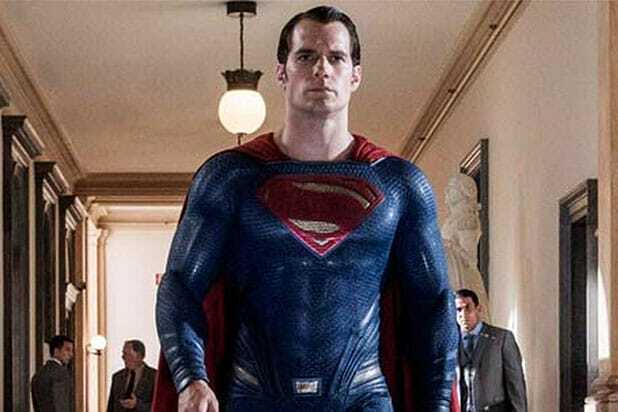 The British actor first appeared as the superhero in 2013’s “Man of Steel,” followed by 2016’s “Batman v Superman: Dawn of Justice” and 2017’s “Justice League.” He was set to have a cameo in “Shazam!” but contract negotiations dwindled, and he will not appear in DC’s upcoming “Aquaman” or “Wonder Woman 2” movies either. The deal between Cavill and Warner Bros. might have also fallen through due to scheduling conflicts: he most recently signed on to Netflix’s “The Witcher” saga to play the role of Geralt of Rivia. A spokesperson for Cavill has not yet responded to TheWrap’s request for comment. We're starting this off with a normal picture of Henry Cavill as Superman from "Batman V Superman," just so you have a point of reference for how horrifying the rest of these pictures are going to be. 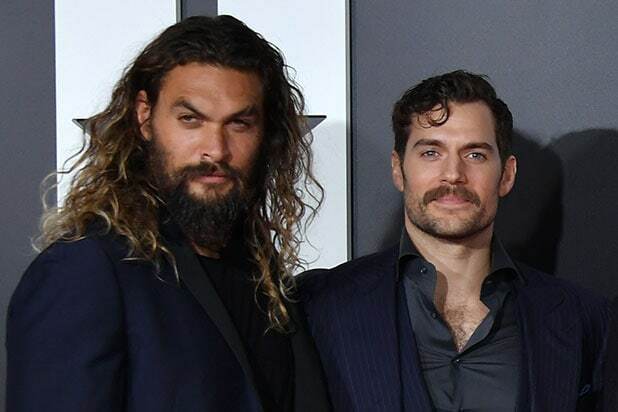 As you may know, "Justice League" underwent significant reshoots under the supervision of Joss Whedon, and Paramount would not allow him to shave his "Mission: Impossible -- Fallout" mustache while participating in those reshoots. Warner Bros' solution was to try to cover up the mustache with CGI -- but it doesn't work. Now that "Justice League" is out on home video and we can examine high-quality screencaps, let's take a look at the worst shots of that horrendous CGI lip, in the order in which their scenes occurred in the movie. One of the most troubling scenes is actually the very first of the movie: an old cell phone video taken by some kids before Superman died in "Batman V Superman." This is the first full shot of his face, which immediately sets off all sorts of red flags. What an incredible choice of first impressions by Joss Whedon and Warner Bros.
For the record, I don't blame the CGI folks for this. I think mankind was simply not meant to digitally remove mustaches from a movie character's face. The CGI lip obviously was a hot topic of conversation when "Justice League" was released in theaters, folks pulled this shot (taken just after he was resurrected) from a pirated copy of the movie to make jokes about it. We are proud to present a high quality version of that image for you here. It's a wonder that Lois still loved him after he smiled at her like this. Maybe the most overall disconcerting bit is when Superman uses his ice breath to freeze Steppenwolf's axe. He's not even recognizable as Henry Cavill there. What a gift, forcing us to look at this horrific thing from another, more grotesque angle. The mid-credits scene, where Superman and the Flash decide to race to see who's faster, might have been cute were it not for, well, you know know what the issue is by now. Below are three other shots from that scene -- truly it is a wealth of horrors, including this part where I don't even know how to describe what his mouth is doing. If you really want the full CGI lip experience you should watch "Justice League" in 4K and Dolby Vision, as I did earlier this week. It's so much worse! In this part he kind of looks like Michael Shannon, who played General Zod in "Man of Steel." AGH! They actually ended the movie with this almost-freeze frame. Good lord.